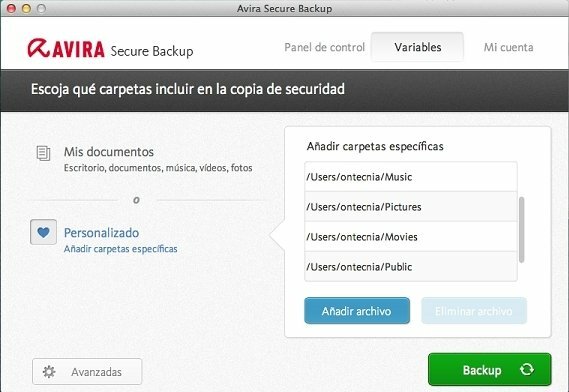 Avira Secure Backup is the perfect solution to keep all the data you store on your Mac safe and out of any danger that your computer may suffer, regardless of its nature. All backups will be stored on the cloud. 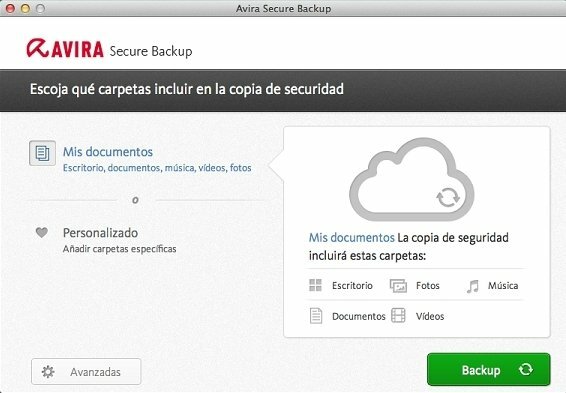 Avira Secure Backup automatically stores your computer's data on a remote server, so that the latter remain safe in the case of any problem that may arise. There's no need to worry about their privacy because, as well as having restricted access, Avira provides a secure encryption system that will prevent them from being accessed by third parties. Photos, documents, videos, music... Everything will be safe on the cloud. Automatic cloud storage of file backups. Possibility to access them from any device. Restricted user access and file encryption. Monitoring of all the changes made. 5 GB of storage space. 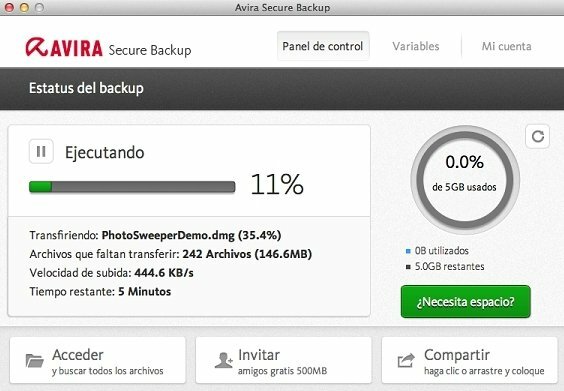 Avira Secure Backup doesn't require us to take part at all. We can follow up all the changes made and also access all the data from any device, including our smartphone. With Avira Secure Backup for Mac our data on the cloud will be completely safe. The paid version allows us to expand our storage space.